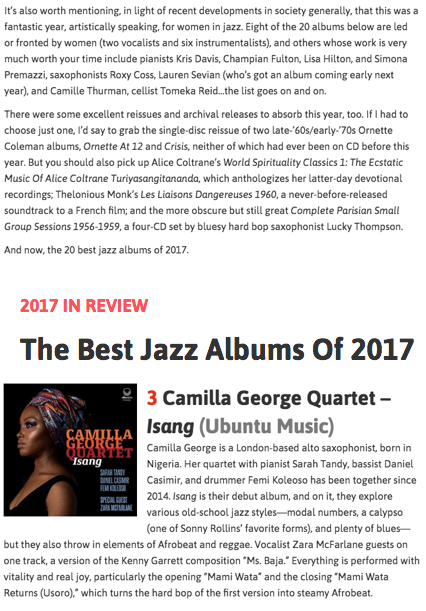 Ubuntu Management Group-USA Publication Selects Camilla George's 'Isang' as One of Best Albums! 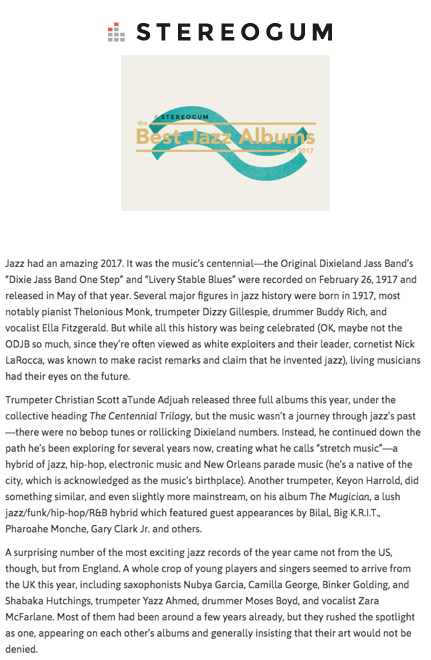 USA Publication Selects Camilla George's 'Isang' as One of Best Albums! StereoGum pegs CGQ at #3...Wow!